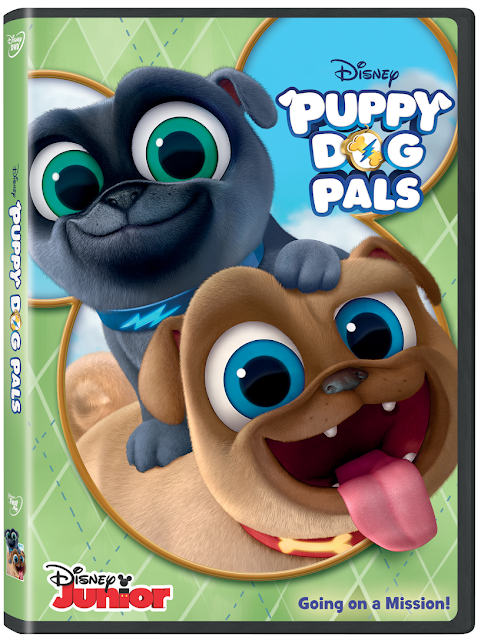 It's Time to Head Off on Adventures with Rolly and Bingo, Disney Junior's Puppy Dog Pals! Join these fun puppy brothers, Bingo and Rolly as they go on fantastic canine adventures! Gabs became Wide-Eyed and excited when she saw this film arrive at our home and it's been on Repeat ever since. Want a chance to win the film? Just Follow the steps Below, It's Easy! Quick Synopsis: They are cute, adorable and ready to have spectacular adventures! When Bob, their owner, is not around, the friendly puppy brothers Bingo and Rolly embark on exciting missions that extend from his backyard to amazing places around the world! With the help of their "big sister" Hissy, a neighborhood full of friendly animals and Bob's high-tech inventions, These funny heroes are always ready to unleash a totally fun & fantastic time! Giveaway Time: One Winner will receive a Copy of this cute DVD! 1) Comment Below on Who's your favorite Pup and Why? 2) Head HERE and Follow the Next Step. Rolly is my favorite character because he's so silly! I don't have a favorite pup, because I'm unfamiliar with this. I'm interested in this for my cousin's son who is probably very familiar with it.